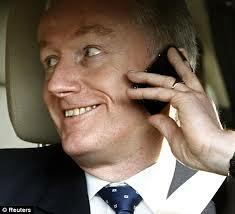 Fred Goodwin was once considered the most hated man in Britain. The former CEO of Royal Bank of Scotland is regarded as one of the main people responsible for the banking crash in 2008. Fred declared his early retirement a month before RBS announced that its loss totalled £24.1 billion, the largest annual loss in UK corporate history.